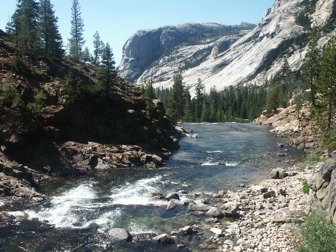 Located 30 minutes east of Yosemite National Park off of California Highway 120, the waters of the Main Tuolumne and Cherry Creek flow through the foothills of the Sierra Nevadas. The "T" is another classic; great rapids, great scenery, and great camping. The river flows the entire spring and summer due to water releases, but watch out for Black Sundays late in the season when they can pull the plug and reduce flow to a trickle. 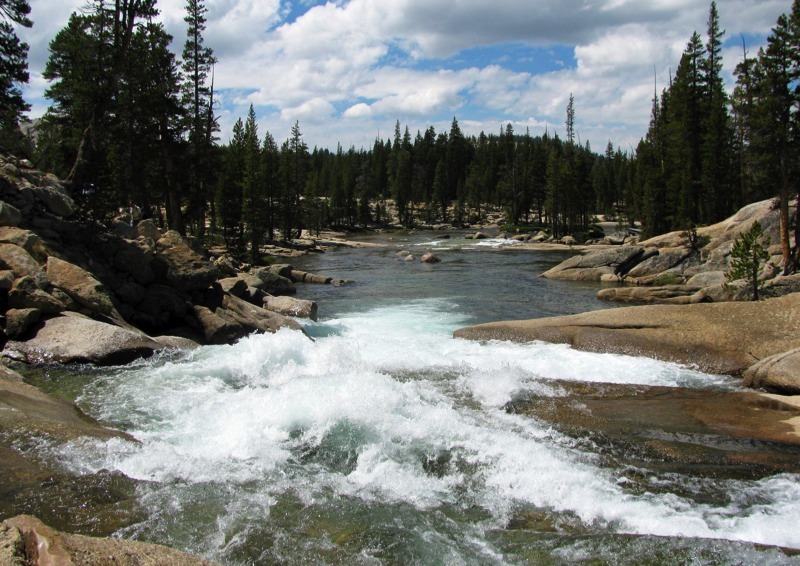 The Tuolumne has been spared the fate of the South Fork of the American River (i.e., a zillion rafters) by the implementation of a permit system. Permits are required between May 1 and October 15. Permits are free and can be picked up at the Groveland Ranger Station. Fill out application here.